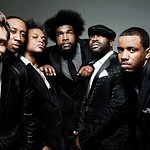 On Friday, April 27, global music and entertainment platform, TIDAL is honored to partner with the Equal Justice Initiative (EJI) to celebrate the opening of the National Memorial for Peace and Justice and the Legacy Museum in Montgomery, AL with a livestream of the Concert for Peace and Justice. The show will feature performances from The Roots, Usher, Common, Brittany Howard from Alabama Shakes, and Kirk Franklin, plus very special guests. Beginning at 7:30 PM CT audiences world-wide will be able to watch as history happens on TIDAL.com/EJI. While the livestream will be available to members and non-members alike, new TIDAL customers will be eligible for a free three-month trial. TIDAL’s support of key social justice issues has been a pillar of the streaming service’s mission since inception. The company realizes that music is a universal language and an optimal vehicle to spread a message of peace, justice and equality. From encouraging community service with Lil Wayne's Social Wave For Change to the annual TIDAL X concerts supporting social justice, education, disaster relief, and more TIDAL’s commitment to making the world a better place is unparalleled. The National Memorial for Peace and Justice is the nation’s first comprehensive memorial dedicated to racial terror lynchings of African Americans and the legacy of slavery and racial inequality in America. On a six-acre site atop a rise overlooking downtown Montgomery, the memorial uses sculpture, art, and design to contextualize racial terror and includes a memorial square with 800 six-foot monuments that identify thousands of racial terror lynching victims in the United States. EJI is inviting communities to acknowledge and confront their history of racial injustice by claiming monuments to install in their communities. The Legacy Museum is a one-of-a-kind narrative museum housing interactive media, sculpture, videography, and exhibits that immerse visitors in the sights and sounds of the domestic slave trade, racial terrorism, the Jim Crow South, and the world’s largest prison system. The museum is just a short walk from the memorial, on the site of a former warehouse where black people were enslaved in Montgomery, Alabama. The Concert for Peace and Justice is one of several Grand Opening events in Montgomery on April 26 and 27. The Peace and Justice Summit will present an exciting array of national leaders and advocates, including Michelle Alexander, Sherrilyn Ifill, Gloria Steinem, Marian Wright Edelman, Rev. William Barber, Ava DuVernay, Elizabeth Alexander, Vice President Al Gore, The Roots, Brittany Packnett, and many others. Sessions will run all day on Thursday, April 26, and Friday, April 27, at the Montgomery Performing Arts Center. A $25 Summit pass provides access to multiple talks. 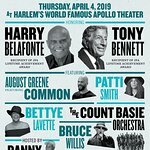 The Opening Ceremony on Thursday, April 26, will feature musical performances and remarks from national leaders, including Sweet Honey in the Rock, Ailey II, Bebe Winans, and John Lewis. The event will be held at the Montgomery Convention Center.